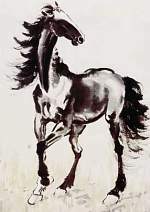 The free spirited Horse is the Chinese Zodiac’s wanderer. Horses need their independence and freedom. They are packed with energy and constantly moving from one activity to another. Horses are good with money and, of course, have a passion for travel.